Missing Letters to Lutheran Pastors, Hermann Sasse letters and articles by Hermann Sasse, not included in the several volumes of Herman Sasse's Letters to Lutheran Pastors already published by the "official" church press. 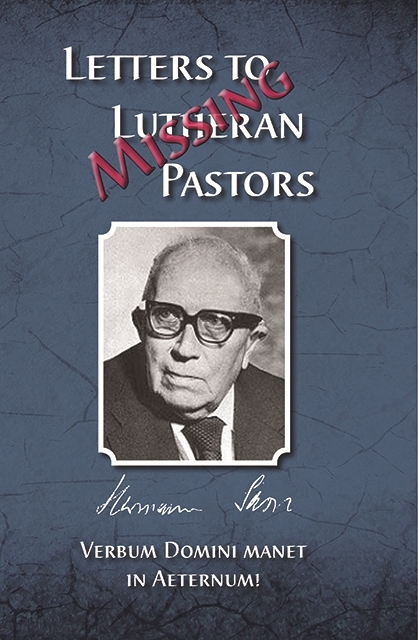 He is regarded by many as the greatest Lutheran theologian of the 20th Century. Missing Letters will show how he was a big supporter of Christian News. Hallmarks of Lutheran Identity, Schmidt, Alvin J.